It’s warming up out there, friends. How did we end up in July already? This year is flying by… So much has been going on in my life! My baby boy just turned one! It seems like only yesterday he was in my tummy swimming around and sucker punching me. Ahh…those were the days. More on that in a later blog. 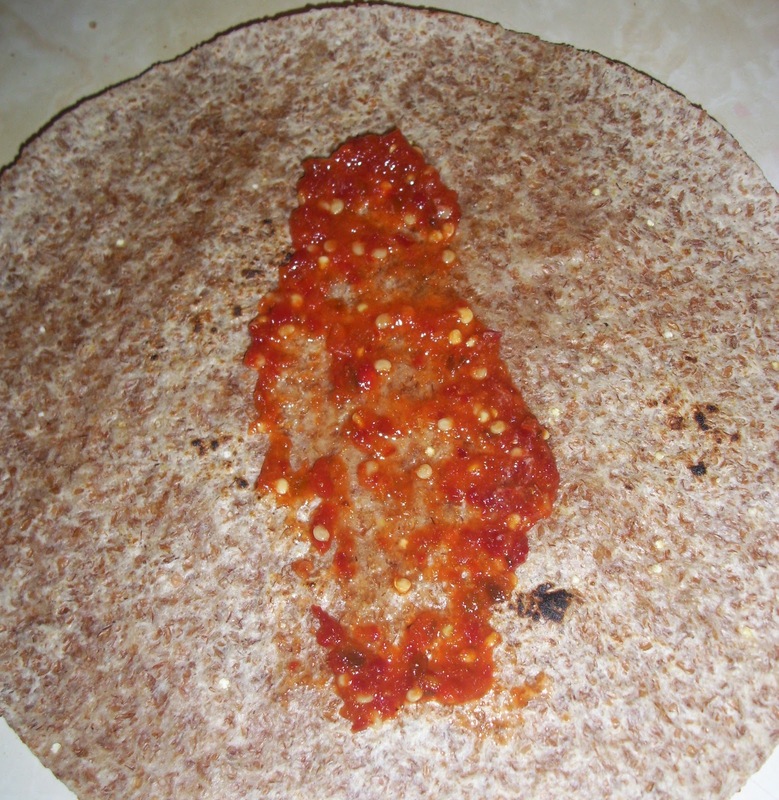 Today I wanna talk about wraps! I don’t know when the wrap became popular but it’s one of those things that you just love the sound of! You can just feel the oohs and ahhs when you say that right? INSTANTLY everyone around you is intrigued! It just FEELS fancy. I’m here today to give you a quick weekday lunch to wow your friends with or a quick dinner to whip up on one of these hot summer nights when you really can’t stand the thought of a hot oven. As most of you know, my husband LOVES Asian food. I on the other hand prefer Mexican. 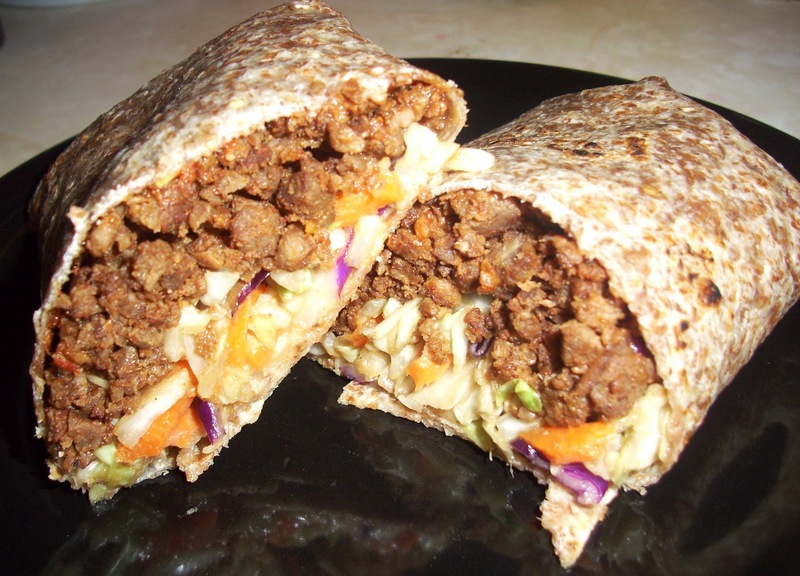 I’ve taken these two styles of cuisine and meshed them together in a happy marriage in this wrap. 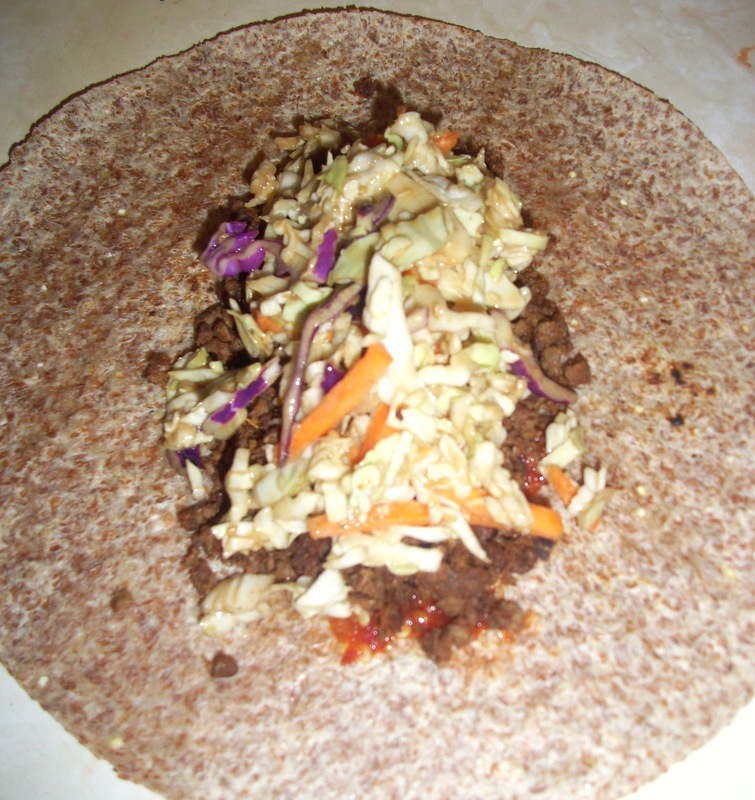 The spicy garlic chili sauce, the sesame ginger dressing and the coleslaw give you all those Asian flavors you crave while the taco seasoning, cilantro and tortilla satisfy all those desires for a Mexican Fiesta! 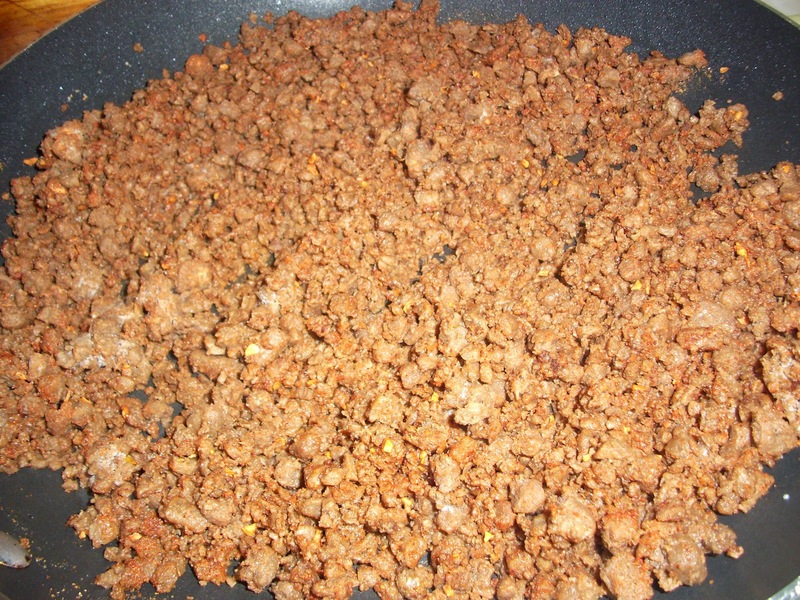 Start to brown crumbles according to package directions and add the dry taco seasoning in about half way through cooking time. 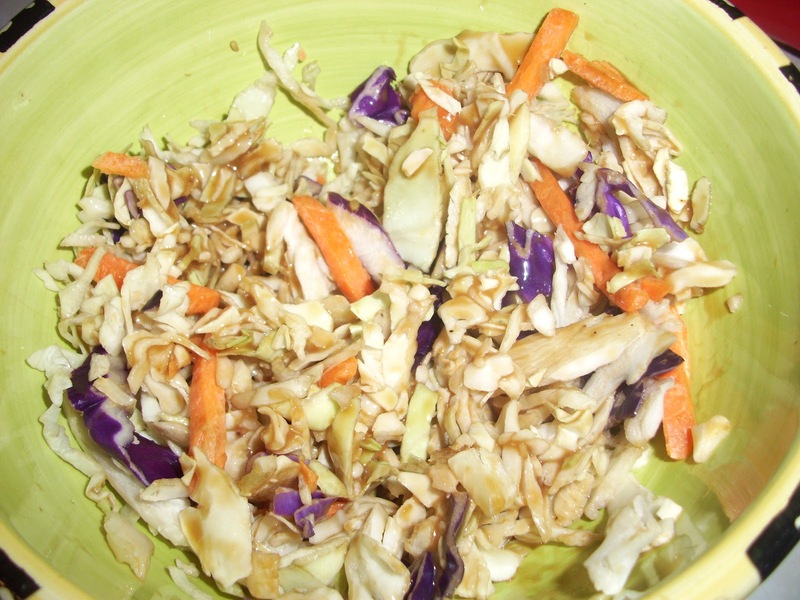 While the “meat” browns, combine the coleslaw mix, cilantro and dressing in a bowl and mix well. Set aside. Now it’s time to assemble. I LOVE this spicy sauce!! 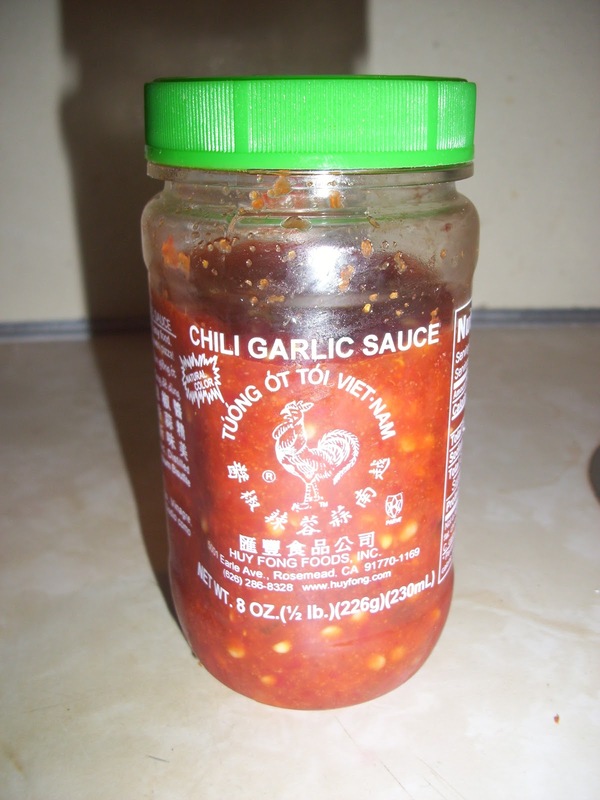 You can find it in your local grocery store in the Asian foods isle. It may be too much for you so feel free to omit it. 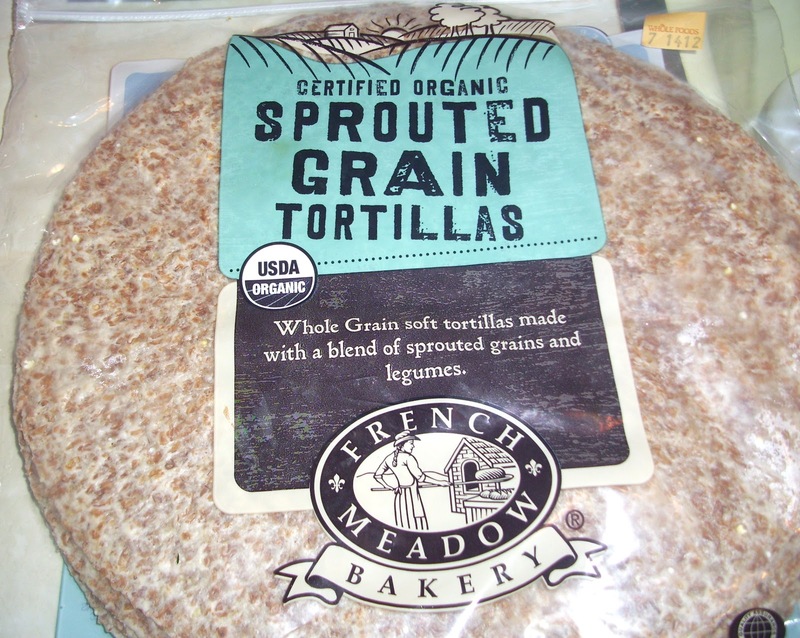 Normally I buy Ezekiel brand sprouted tortillas but recently when I went to Whole Foods I found these guys! Much more pliable and very tasty. If you can find them, you’ve got to try them! Heat your tortillas of choice on an open flame on your stove until slightly charred and warm. Add a teaspoon of the sauce (if you desire), 1/2 cup meat and 1 cup coleslaw mixture. 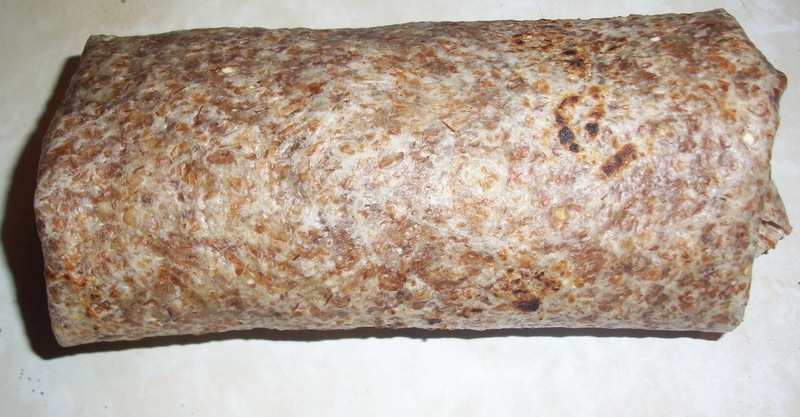 These are BIG and filling wraps, people! 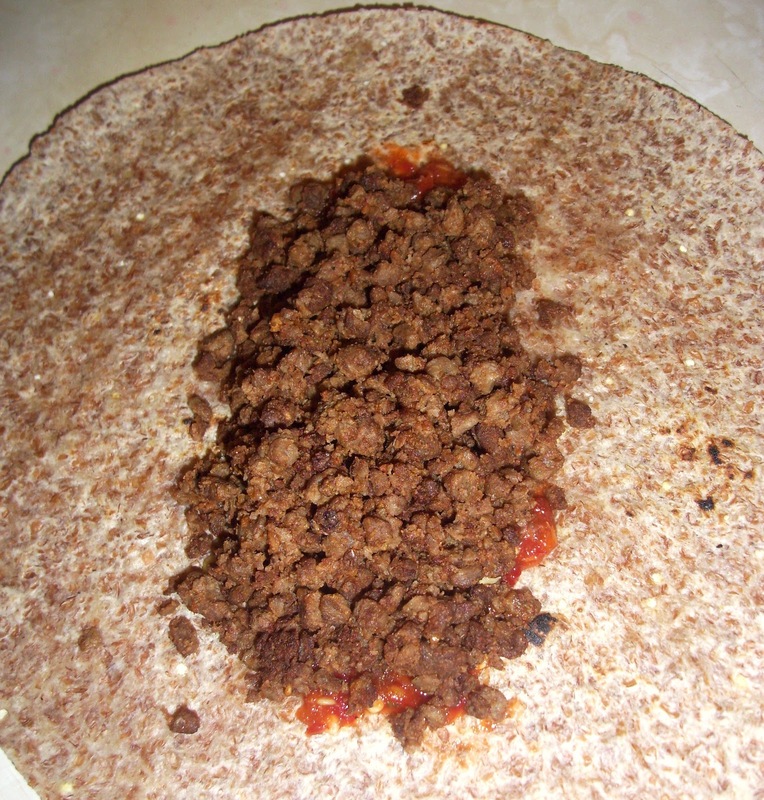 Then roll it up like a burrito and slice on the diagonal. So super simple and delicious! You can taste every single flavor in this dish and it only takes minutes to make. Everyone will be shocked it’s Vegan! Enjoy, friends! Previous Post Something To Celebrate! Next Post The Trick To Perfect Tofu!